The NYO-USA performed most recently on Show 343 recorded on July 19, 2017 as well as on Show 293, recorded July 2014. 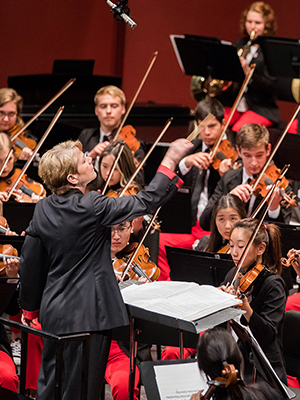 Each summer, Carnegie Hall’s Weill Music Institute brings together 120 of the brightest young players from across the country to form the National Youth Orchestra of the United States of America. Following a two-week training residency with leading professional orchestra musicians, these remarkable teenagers not only have the opportunity to play on the famed stage of Carnegie Hall but also embark on a tour to some of the great music capitals of the world, while serving as dynamic musical ambassadors. Meet the 2014 Orchestra.